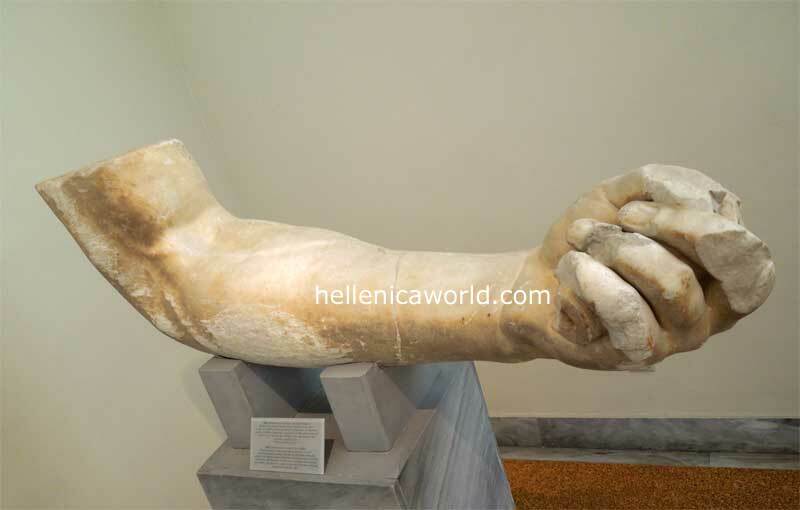 3481 : Colossal arm of a statue of Zeus. Marble. Found in Aigeira, Achaia, along with the head inv. no. 3377.
c. AD, Pausanias. The left arm of the statue of Zeus is bent at the elbow. Second half of the 2nd century B.C. 3377 : Colossal head of a statue of Zeus. Marble.